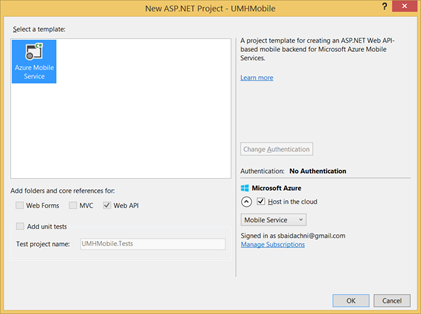 First of all in order to use C# on the backend, you must select .NET as a backend technology in new Mobile Service dialog. Right now we are ready to use Visual Studio. 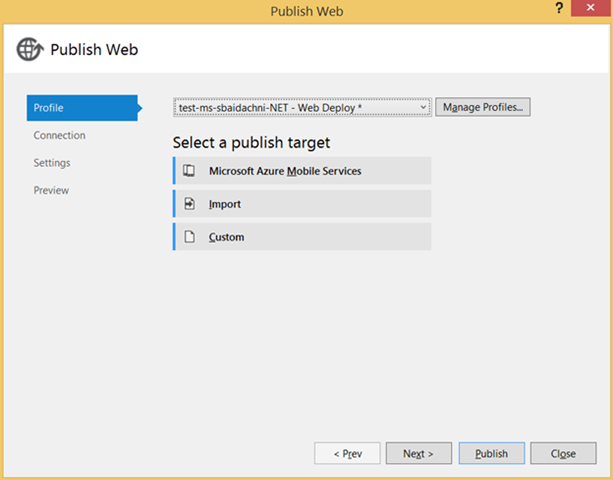 In the first step we will create project based on Azure Mobile Service template. You need to provide name of your project/solution there. In the second step you need to select some options. You should switch off Host in the cloud checkbox. 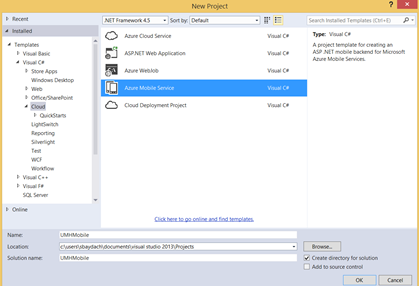 If you forget to do it, Visual Studio will propose to create a new Mobile Service. Once you click OK, Visual Studio will create a project for you, which contains several ready to use classes like TodoItem, TodoItemController etc. 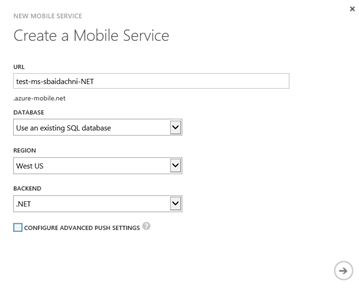 You can use this code in order to deploy TodoItem table to Azure Mobile Service. I am not going to remove auto-created code but I would prefer my own names for table and columns. So, I will change TodoItem to NotificationData. You can use refactoring tools to change class name. Additionally, I will remove Complete property and change Text to text property. Last changes you may make using JsonProperty attribute as well. In our example we didn’t change Registration pipeline but if you want to do it, you can implement INotificationHandler interface. Implementation of the interface will be picked up automatically and you may run your own code there.